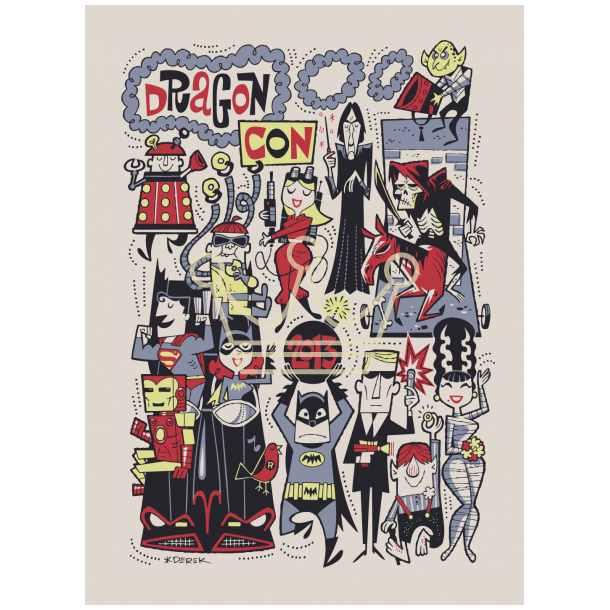 Every year, folks from all walks of life get dressed up to come to DragonCon in Atlanta! 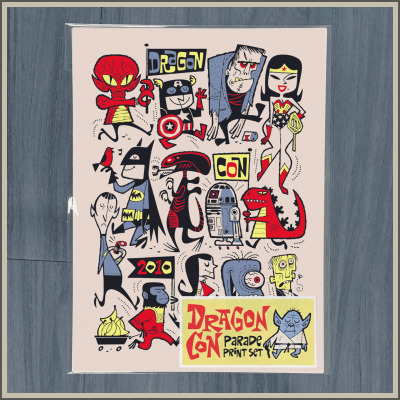 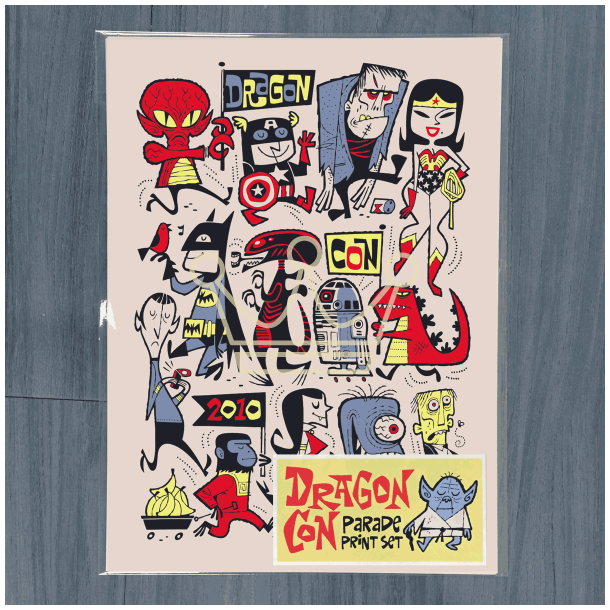 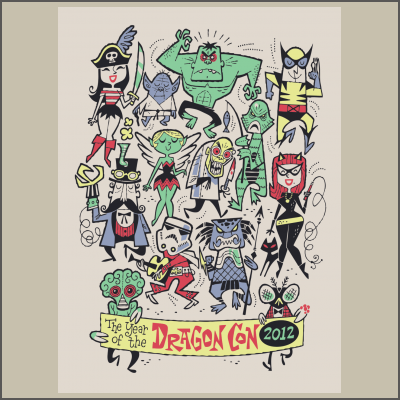 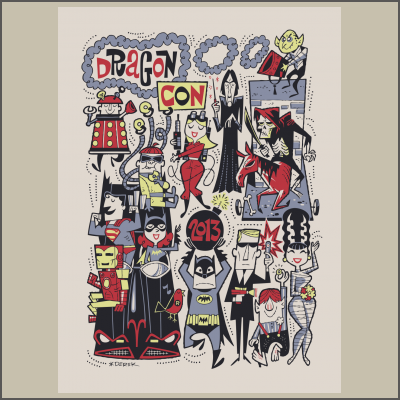 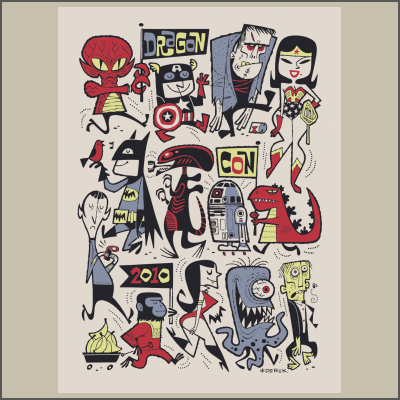 The talented Derek Yaniger was commissioned to create the official DragonCon parade artwork from 2010-2013 and we've made available this collectible digital mini print set of all three serigaphs measuring 7 1/3" x 10". Each mini serigraph is signed by the artist on archival paper.